The unknown southwest and the lush Samaná peninsula – the two most beautiful regions of the Dominican Republic combined in one trip! 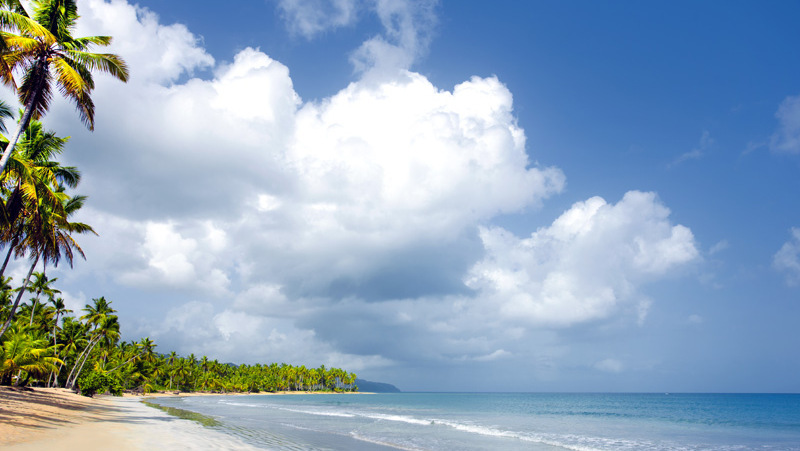 If the Dominican Republic has a “best kept secret”, it is the southwest region of the country. It features several national parks and two scientific preserves. Between the beaches, mountains, sand dunes, lagoons and rivers, this area is perfect to enjoy the variety of the Caribbean’s natural landscape. 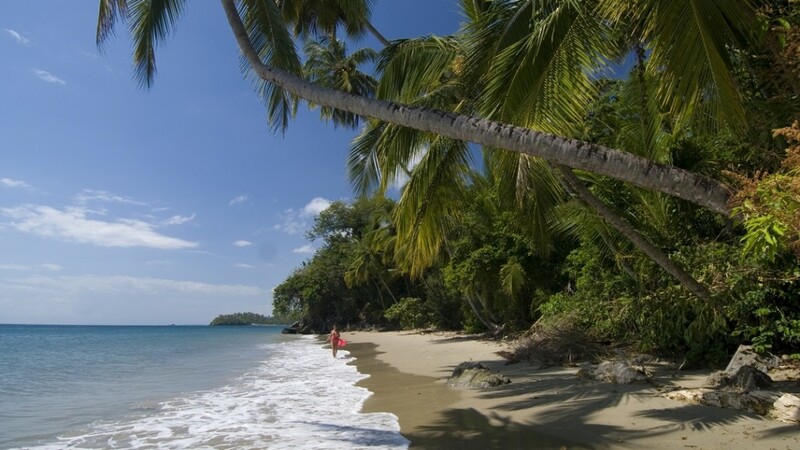 Spend the last days exploring the Samaná peninsula that offers some of the best and pristine beaches in the Caribbean, amazing landscapes, waterfalls and unique excursions. Unforgettable moments are guaranteed! 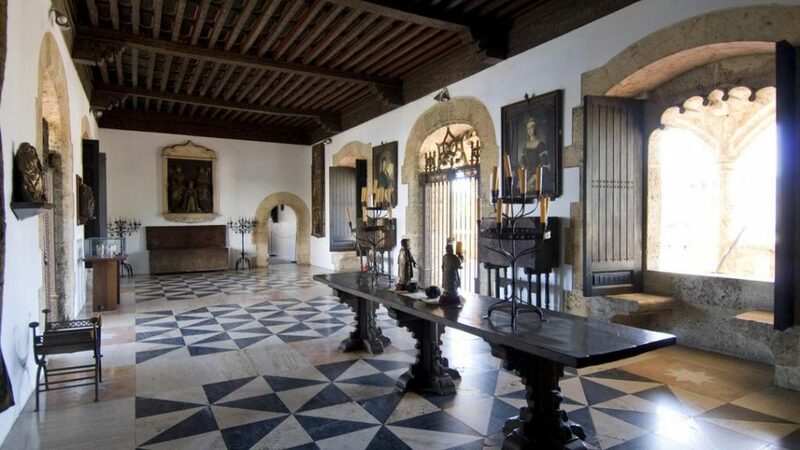 You will be picked up from the airport and taken to your hotel Casas Del XVI in the Colonial Zone of Santo Domingo. Take the rest of the day to explore the streets of the colonial city, restaurants, bars and shops on your own. In the evening, we recommend you a visit to the Plaza de España where you can choose among various excellent restaurants and enjoy your dinner with a view on Christopher Columbus’ sons’ house. 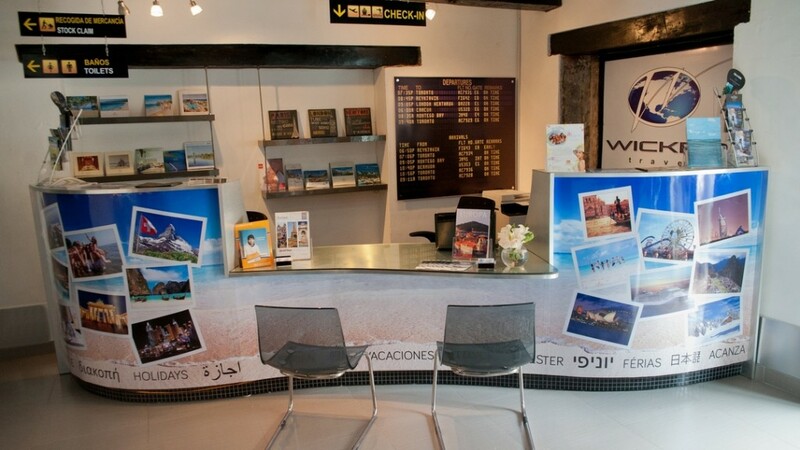 In the morning we will welcome you at our office in the Zona Colonial where you enjoy a fruit cocktail, a briefing about the country and your trip and all the support DOMINICAN EXPERT has to offer you. You will then pick up your rental car and head west. Soon you will be passing sugar cane fields followed by the incredible natural landscape of rough and barren mountains of the southwest side of the island. 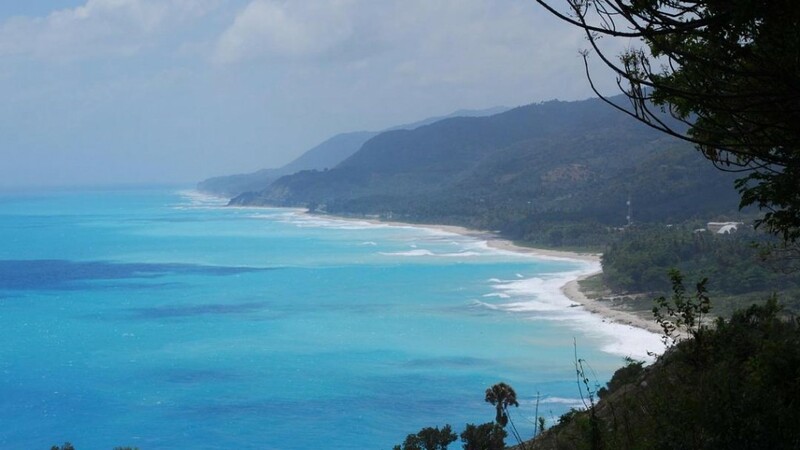 After the town of Barahona your way continues for about 20km along a breathtaking coastal road before you arrive at your hotel Casa Bonita. 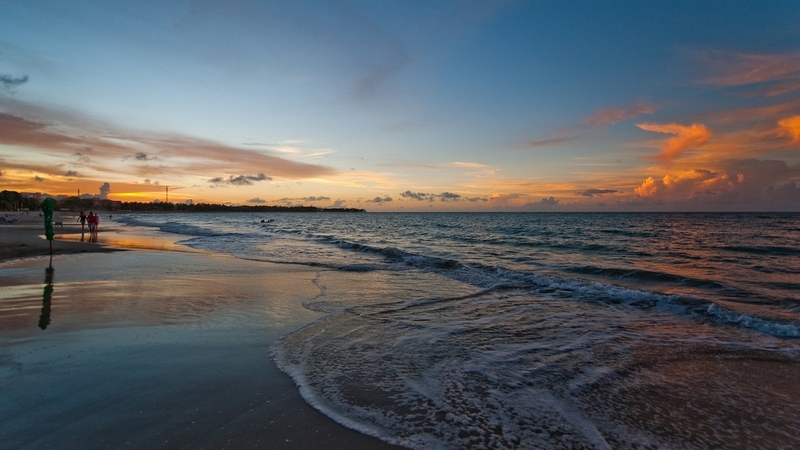 You will drive past beautiful scenic overlooks with views of the coastline and the Caribbean Sea. Spend a relaxing evening at your hotel, enjoy the pool or go and explore the surrounding area. The stunning Southwest of the Dominican Republic. After breakfast, you will travel southwards along the impressive coastal road approaching Oviedo, right on the edge of the Jaragua National Park. Here you will find an imposing lagoon of both fresh and salt water. 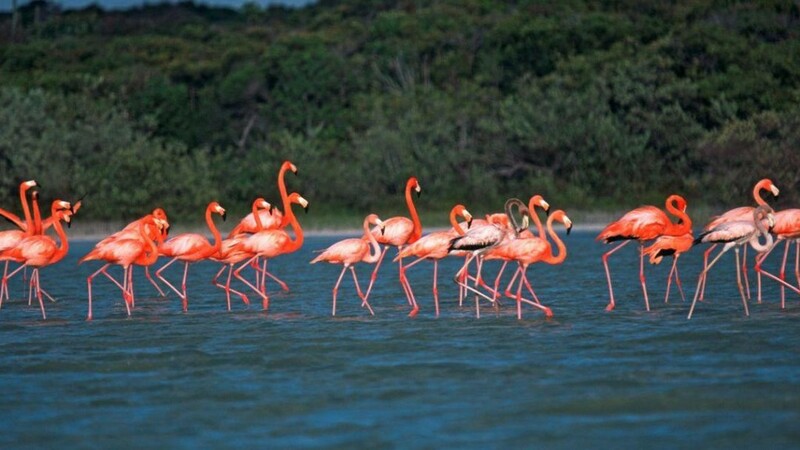 Once here, you will be able to take a boat to watch the flamingos and other species of birds. Enjoy desert scenery surrounded by cactus. 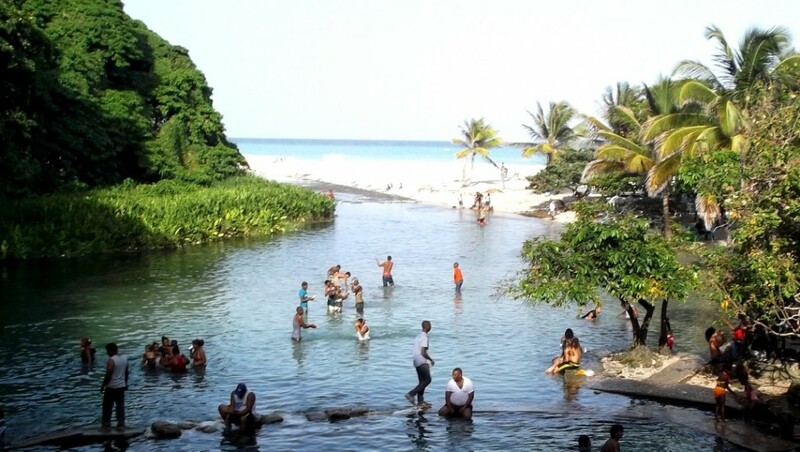 Back on the road, you might want stop at “Los Patos” and go for a swim where a spring entwines with the sea. In the afternoon you will return to your hotel. After breakfast you will drive to the small spot “La Cueva” (The Cave), where you will find a Caribbean beach of white sand. If you are lucky you may even see the indigenous Hispaniola Iguana, which measures up to 120 centimeters (almost 4 feet! ), one of the largest and strongest iguanas of its kind. But do not worry, they are not dangerous and if you have a piece of fruit to offer, the iguanas may even become your friends. 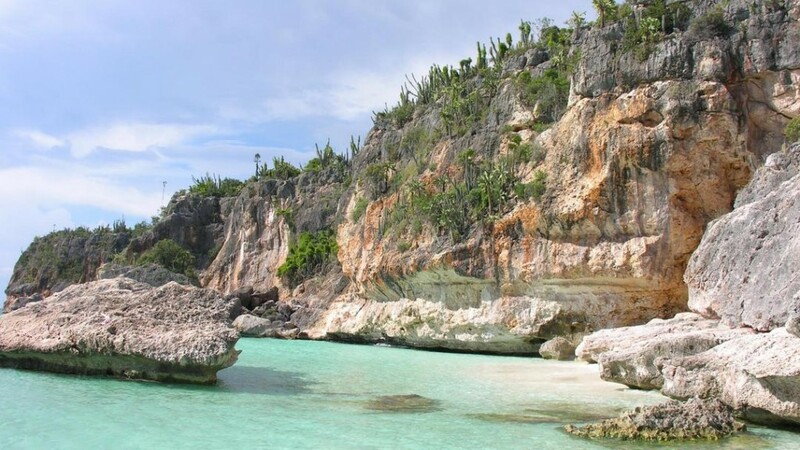 From here you can go and explore the beach called “Bahía de las Águilas” (Eagle Bay), a true paradise with its white sand and turquoise waters and one of the most hidden gems of the Dominican Republic. You can cross the bay quite safely and comfortably with a rental boat from the little restaurant at “La Cueva” or take an approximate one hour-long walk, through rock formations providing a marvelous view. If the weather conditions are good, you can also get there by car within 5 minutes. This beach is considered one of the most beautiful beaches in the world. Allow yourself time to enjoy the crystal clear water with its colorful tropical fishes, you may even find a starfish. 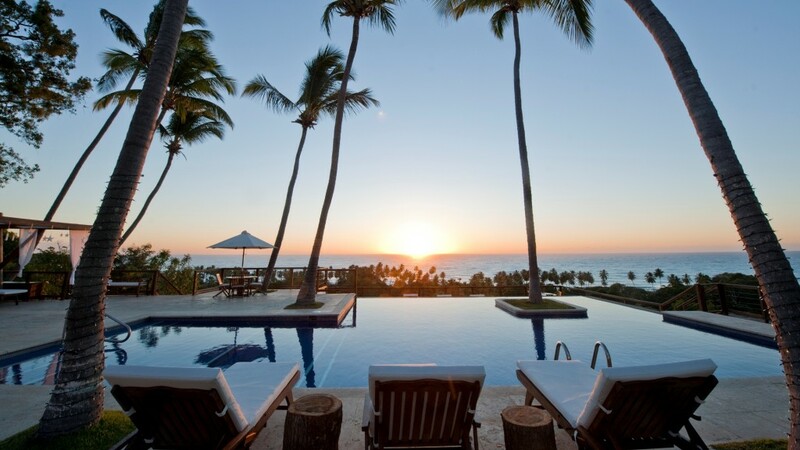 At the end of the day you will make your way back to the hotel Casa Bonita. On the way back to Santo Domingo, from where you will take the road up north to Las Terrenas, we recommend you to take a short diversion to the town of Bani towards “Las Dunas de Bani” (the Dunes of the pots). The dunes constitute the largest desert of the Caribbean and totally contrast with the rest of the Dominican Republic. These dunes are huge sand formations caused by the action of the winds and the marine currents which favor sedimentation. Since 1996 this has been a protected area so there is an official entry point, but you can also park on the street and walk through the dunes to the ocean. (Closed shoes recommended!). 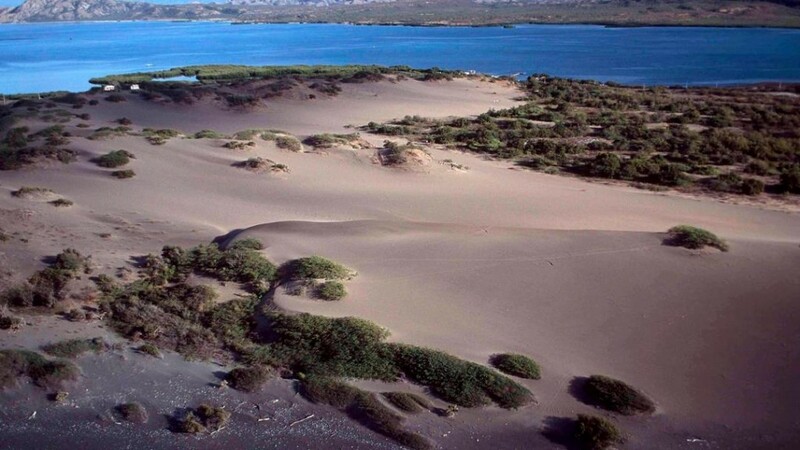 At Caldera Bay behind the dunes, you will find the Salt Mine of “Puerto Hermoso”, where the salt is still extracted from the various salt basins exactly as it was done 100 years ago. Unique souvenir photos are guaranteed! Later on your journey will take you from Santo Domingo to the Samaná península on the north coast of the Dominican Republic. 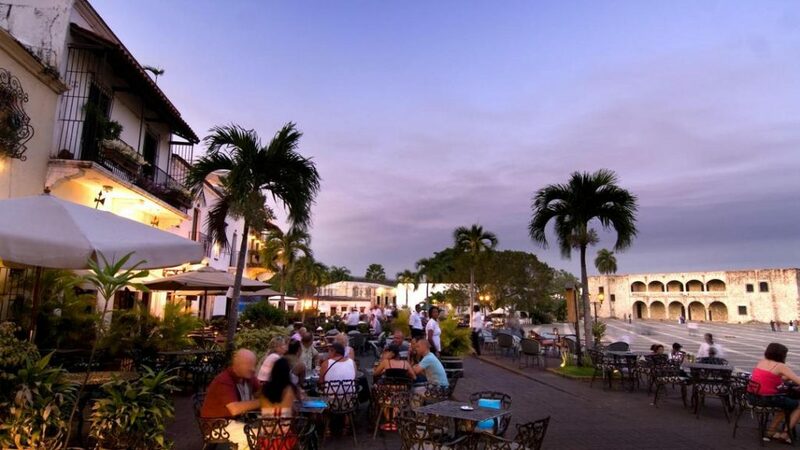 When you arrive in the evening, you can explore the fishing village of Las Terrenas that offers various bars and restaurants or enjoy your dinner in the beachfront restaurant of the hotel Sublime Samaná. Walking along a small beach near Samana town. 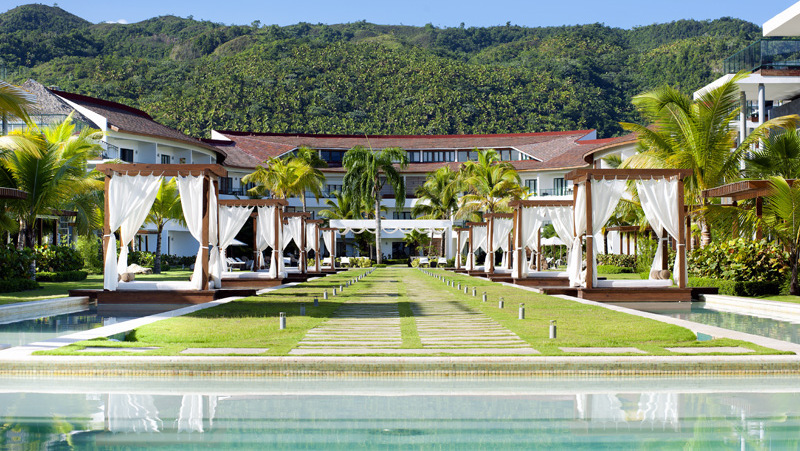 Spend two wonderful, relaxing days in Las Terrenas, enjoy delicious food at the beachfront restaurant, indulge yourself with a spa treatment on Playa Cosón and relax in the elegant and spacious accommodation in a tranquil, idyllic atmosphere while soaking in some Caribbean sun. Sublime Samaná will pamper you with one of the most stunningly beautiful settings you could ever expect in the Dominican Republic. For those who prefer fresh water instead of the ocean, Sublime offers many romantic private pools as well as two main pools on site. As another highlight of your vacation, you will get to enjoy a delicious 5-course gourmet menu at the MI CORAZON Restaurant, one of the very finest restaurants on the island, prepared by our awarded executive chef. A private transport will pick you up and bring you back to the hotel. If you want to see more of the stunning Samaná peninsula, one of the most beautiful regions in the Dominican Republic, we can offer you various different excursions and options, such as whale watching (Jan-Mar), a trip to the waterfall Salto El Limón, visiting Cayo Levantado (the Bacardi Island) and many more. Today you will take your journey back to Santo Domingo, where you will drop off your rental car at the airport. The drive takes you through the countries, along typical Dominican villages, sugar cane and rice fields and tropical forests. You will sure bring a lot of fond memories and amazing photos of the two most beautiful places of the Dominican Republic back home with you!